A sterling new study of the exquisite designs of Danish silversmith Georg Jensen (1866-1935) and company. Nearly one thousand photographs illustrate much of the stunning jewelry, hollowware, and flatware designed and produced from 1904 to the present. 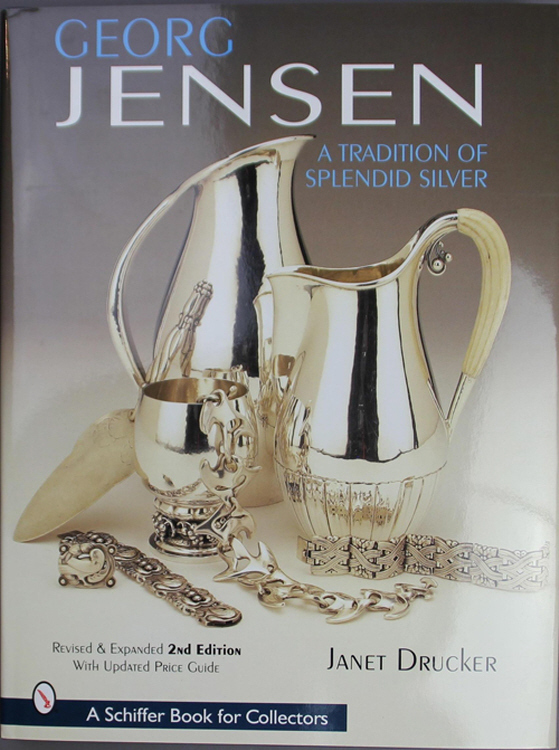 One of the most talented, original, and influential silversmiths of the twentieth century, Jensen's life and the company he founded are thoroughly researched. This book explores his place within the late nineteenth century arts scene, his training as a sculptor and silversmith, the establishment of his own workshop, and its expansion into an international company. The contributions of many gifted designers who worked for the company are discussed in detail. Interpretation of the marks used on Jensen silver is provided. This is a major revision of a very important book, with over 200 new photos and new information. It is an invaluable reference work for owners of Jensen silver, artists, silversmiths, designers, curators, and art dealers.